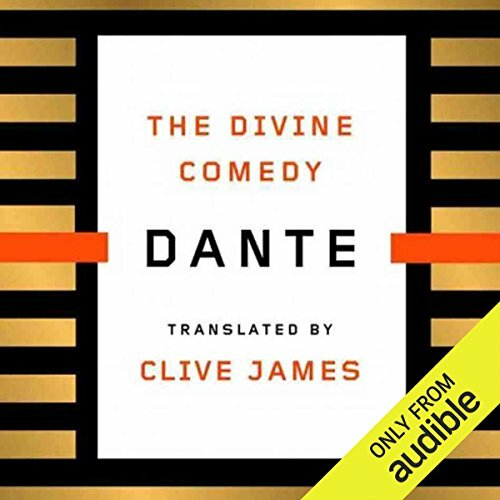 Renowned poet and critic Clive James presents the crowning achievement of his career: a monumental translation into English verse of Dante’s The Divine Comedy. The Divine Comedy is the precursor of modern literature, and this translation - decades in the making - gives us the entire epic as a single, coherent and compulsively listenable lyric poem. Written in the early 14th century and completed in 1321, the year of Dante’s death, The Divine Comedy is perhaps the greatest work of epic poetry ever composed. Divided into three books - Hell, Purgatory and Heaven - the poem’s allegorical vision of the afterlife portrays the poet’s spiritual crisis in terms of his own contemporary history, in a text of such vivid life and variety that modern readers will find themselves astounded in a hundred different ways. And indeed the structure of this massive single song is divided into a hundred songs, or cantos, each of which is a separate poetic miracle. But unifying them all is the impetus of the Italian verse: a verbal energy that Clive James has now brought into English. For its range of emotion alone, Clive James’s poetic rendering of The Divine Comedy would be without precedent. But it is also singled out by its sheer readability. The result is the epic as a page-turner, a work that will influence the way we read Dante in English for generations to come. The Divine Comedy is performed by Edoardo Ballerini (2013 Audie Award winner, Best Solo Narration - Male), who had this to say about the book and his experience narrating it: "There are literary classics, and then then are those few books that serve as the cultural foundation for all of western civilization. Dante's Divine Comedy is one of those rarified titles. Being asked to narrate such a monumental work was an honor, and one of the highlights of my career, across film, TV, stage and audio. It was a humbling experience, and I only hope this recording inspires listeners to experience this profoundly beautiful work of art in a new, accessible and playful way." ©2013 Clive James (P)2013 Audible, Inc. I try very hard not to write a review till I've listened to the whole thing. But I have to make an exception for this one. So far I've listened to The Inferno; but since I've already read the translation itself in its entirety, I'm going to stick my neck out. This is brilliant. I'm in Heaven, so to speak. Clive James has created an unusual but consistently effective translation: rather than trying to reproduce Dante's terza rima, he plays to his own strengths by translating into quatrains, a verse form at which he is particularly adept. The result is a subtle but ever-present drumbeat of rhyme. There are better versions of individual passages in other translations, but I've never read one where the whole thing hangs together and flows together so smoothly. These clarifying phrases are not as extensive as those in the Audiobook Contractors version, read by Grover Gardner; but they serve the purpose, and they make it possible to listen without constantly feeling the need to look things up. The result is a translation that demands to be read aloud. Edoardo Ballerini does a terrific job with the narration, capturing the Pilgrim's sense of wonder and letting the poetry unfold in its own effortless way. Ballerini is one of those narrators who conveys dialogue by suggestion rather than outright imitation of different voices. But the voices are there anyway, partly because of Dante's skill and partly because Clive James does such a good job conveying them. When passion is called for, Ballerini gives voice to passion; likewise when the speaker is giving voice to shame, anger, or pride. Get it. Listen to it. Enjoy it. Learn from it. Treasure it. Caveat: I've read the Comedy several times, in several different translations, with several different sets of footnotes. I couldn't claim to be a master of the allusions in the poem, but I'm comfortable with them. (When the wind is southerly I can tell a Guelf from a Ghibelline.) As such, it's hard for me to imagine the viewpoint of someone coming to this material for the first time. I THINK this would be anyone's ideal introduction to Dante, and I hope first time listeners will tackle this version and leave their reactions. For myself, all I can say is that it will be a cold day in Hell (so to speak) before I re-read, or re-listen, to this masterpiece in any other format. There is no question in my mind that this is hands down the best audiobook version of Dante's masterpiece available. 219 sur 223 personne(s) ont trouvé cet avis utile. Plumbing the crucible of happenstance. I should give a quick intro and say that I rarely EVER, EVER re-read a book. I should also mention that 3 years ago I had never cracked Dante's Divine Comedy. Now, I am finishing the Divine Comedy for the 3rd time. I've read Pinsky's translation of the Inferno. I've read Ciardi. I've flirted with Mandelbaum and danced with Hollander, but from Canto 1 of Inferno/Hell to Canto XXXIII of Paradiso/Heaven, I can't say I've read a better version than the Clive James translation. He replaced the terza rima (**A-B-A, B-C-B, C-D-C, D-E-D-E-E** a measure hard to write without poetic stretch marks in English) with the quatrain, and in doing so made the English translation his own. It gives the Divine Comedy the verbal energy and the poetry that makes inferior translations a slog and makes Dante so damn difficult to translate well. A mediocre translation might capture the stripes but lose the tiger. Clive James pulled off a master translation of one of the greatest works of art in any medium -- ever. 82 sur 86 personne(s) ont trouvé cet avis utile. Would you consider the audio edition of The Divine Comedy to be better than the print version? I have read the John Ciardi translation of this monumental work. James' translation is by far the more beautiful and startling, bringing forth the pathos and horror of Hell and purgatory with a vividness that left my brain singing for days after I had finished it. This will be one I come back to time and again to enjoy the elegance and lyrical ferocity of the language. The narration is a fitting complement to such a magnificent text. There was a time when I would have winced at this version of Dante’s epic. Terza rima was the form the great Florentine used and terza rima, I would have insisted, was the form any translator should employ. Since then I’ve read some of John Ciardi’s translation. I’ve read some of Dorothy Sayer’s. I’ve dipped into Pinsky and Hollander. But I’ve finished none of them. All of the above replicate Dante’s original verse form. Sayers (a poet in her own right) works the hardest to achieve true rhymes, and as a professional medievalist and believing Christian her notes and illustrations are essential and illuminating. Poets Ciardi and Pinsky also reproduce the original terza rima, but are less exacting with the rimas. This relieves some of the stiffness of Sayers’s effort—a by-product, I suspect, of the verbal contortions necessary to place truer rhymes at the end of lines—but it also robs the poem of its essential music. John Milton’s snide comments aside, rhyme can lend a well-wrought image or idea just that extra measure of aptness and memorability. The half or slant rhymes of Ciardi and Pinsky only remind me of the music I’m missing. And then, when an occasional true rhyme is employed, it can be almost disconcerting. Hollander doesn’t even try for rhyme which, for me anyway, removes any real reason for retaining the original three-line stanzas. I’m not suggesting there is anything amiss with these translations as translations; each is a fine blend of artistry and scholarship. All I’m saying is that the ease of reading them is vastly enhanced (at least for me) when rhyme greases the gears. Further, this is not to say that English isn't suited to terza rima—just read Richard Wilbur’s “First Snow in Alsace”. But it is to suggest that getting Dante’s towering images and ideas into modern English in terza rima is a tall order. That takes us to the next hurdle. This is a breathtakingly dense, packed, loaded poem. For all the briefness of each canto, there are probably more ideas, concepts, images and perceptions per iamb here than we find even in the best of John Donne. Wading through the Comedy always gives me the awful feeling that I’m holding my breath, waiting for the rhyme at the end to lend the verse some sort of overall coherence. And then, if one is reading Ciardi or Pinsky, there’s nothing more rewarding than a mere sonic coincidence (bitter / enter / blunder). All of which is a long way of saying that when you make Dante go ABAB,CDCD instead of ABA, BCB,CBC you get a poem that sings. Unhindered by the need to find two more rhymes (or slant rhymes) for every end word, this version flows almost effortlessly. The ideas are still dense and I will go back (again and again and again) to grapple with them (probably in print form), but the difference here is that the poetry, the sheer sonic pleasure, the essential heartbeat, is present in a way I’ve never experienced before. You are carried along on a floodtide of surprises. Perhaps that’s my problem with other translations: take away the almost physical pleasures fluid poetry can grant through meter and rhyme and you’re left with nothing but the ideas. Yes, I know there are musical possibilities beyond rhyme. But when a translator is trying to express thoughts not his own, the choices of assonance, consonance and the rest of the poetic arsenal is necessarily limited. Of course there are passages that fall a little flat; at the opening of the Paradiso, I prefer Sayers’ “Within that heav’n which most receives his light/Was I” to James’ “The one where I was gets more light”. But I’m hoping Clive James’ work will help me get me through the whole poem, finally, at last and see it as a whole. Another aspect of this version that makes it easy of the ears (and the listener’s patience) is the freedom James takes to elucidate some references—those magpies from Ovid, for example—that also help the poem skip along. It’s a passing reference in other translations that sends you to the footnotes—and thus breaks the flow of the story even more effectively than a rocky or non-existent rhyme scheme. Meanwhile, whoever selected Edoardo Ballerini as our reader should take a few curtain calls, as should Mr. Ballerini. His reading is as effortless as the verse. His tone is subdued, a nice change from some readers who take on an unnecessary, self-conscious orotundity or histrionic pitch when performing Great Works of Western Civilization. By now I’ve probably offended far better educated sensibilities than my own. Years ago a high culture magazine compared three recent translations of the Comedy, and I preferred the version they panned. But then, I’m laboring under some disadvantages. I don’t speak Italian. I’ve never studied Dante in a rigorous academic setting. I am Catholic, a convert drawn to the Church partly by the works of Dante and Aquinas, presenting as they do a complete, seamless world view that addresses—and satisfies—our deepest human fears and hopes. But as I said, I’m no tenured medievalist. I simply go by Wallace Stevens’ rule: a poem must give pleasure. This one does. 32 sur 34 personne(s) ont trouvé cet avis utile. I can't help but wish Audible had a Divine Comedy in the original meter of terza rima, that by Dorothy L. Sayers being I suppose the most famous. After all (as I believe Sayers points out), terza rima can hardly be called more difficult to carry off in English than ottava rima or Spenserian stanzas, at which several great English poets have conspicuously and copiously excelled. But I will stipulate that this version in the quite different medium of quatrains is unlikely to be surpassed in readability (or listenability) and poetic merit. Kudos to both the translator and the narrator for a job splendidly done, despite an arguably eccentric choice of meter. This was a good translation, in that it was followable.? The narrator was clear and early to listen to. Listen with confidence. The reading was great and the story still is thought provoking. Highly recommend this title and this version of the production. What did you love best about The Divine Comedy? One has to bear in mind that this was written 700 years ago in another language, and represents a long-gone world view quite foreign to our own. This is the second time I have attempted Dante. The first time was not a great success. This time is better, due to Clive James and his narrator. In the context of this long poem, the voice of Edoardo Ballerina is quite marvelous; not American, not Italian, certainly not English, but a rounded voice with a distinctive accent unlike any other, and perfect articulation, perfect for this task. I cannot judge the quality of a translation, but what Clive James has written sounds effortlessly right as it comes out of the narrator's mouth. Dante's work is second only to Shakespeare, but accessing it is not easy due to its age and strangeness. Clive James has pulled off a great triumph, and Edorardo Ballerini has brought it to life in a way I doubt any other narrator could have. 'The Comedy' no longer mystifies me. I’ve tried other translations, but never could get into what was being said. The Clive James version changes that. This audible version makes the book come alive. 'When they walked away they played a trumpet of the arse'. Now, that is a funny line and this translation makes one laugh when one should be laughing at the fart joke.